4k00:09Venice Italy 29 Oct 2016: Gondolas on the Grand Canal in Venice. 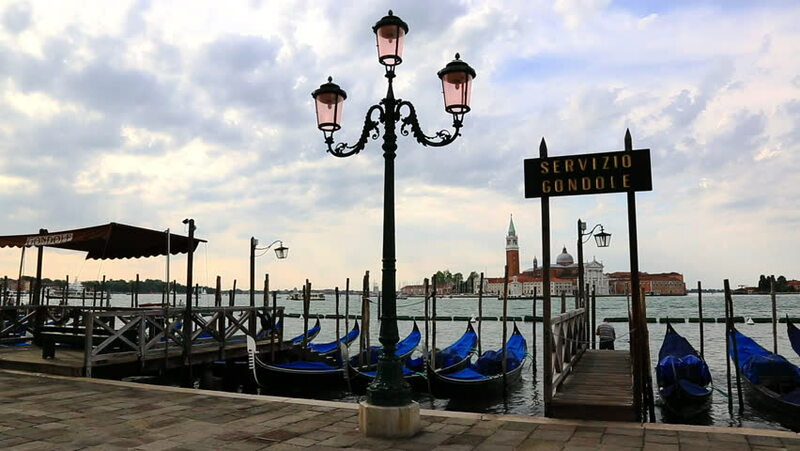 hd00:11Gondolas moored on Grand Canal in Venice Italy. In the background famous landmark of San Giorgio Maggiore in Venice. Gondolas in the foreground moving up and down due to the water movement. hd00:10VENICE, ITALY - CIRCA 2011: Man at a gondola station in central Venice.